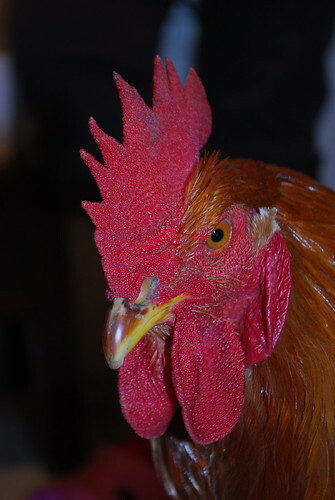 Your kids come home from school and tell you they brought a live rooster home. Huh? I have lived in China for 6 years, so this shouldn't surprise me, but for some reason it did. 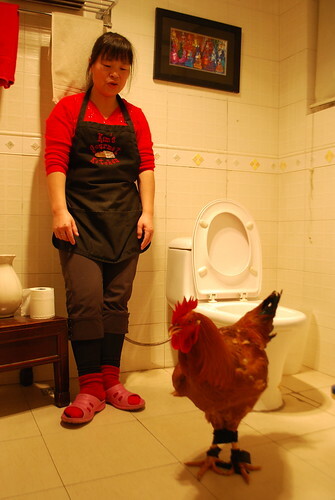 This was the first year that my ayi actually brought a rooster into the house. She had gone outside for some reason and it coincided with the kids return from school. The kids came running upstairs shouting "Mommy, Mommy we brought a rooster home." I thought they were lying, but both my kids are terrible liars (like myself). So I went to investigate. 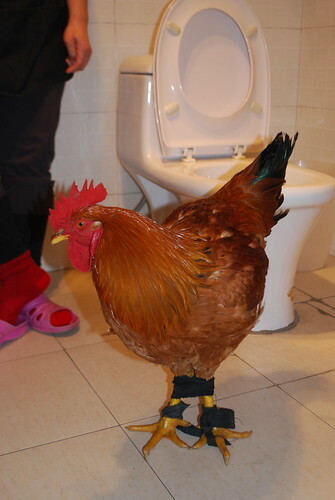 I guess the rooster had to use to the bathroom? I asked them if they had touched it because I wanted them to wash their hands and they both said no. Two hours later I was freaking out on Angus because he changed his story and was actually the one who carried it home. My kids thought I was a freak and I yelled at Angus telling him could get Avian flu and die by touching a chicken and then sticking their fingers in his mouth (like he always does). I seem to be in 'be afraid' parenting these days. Maybe I over reacted, but I made my ayi put the bird outside until it went home with her. Lucky for us we have a dog kennel for the rooster.